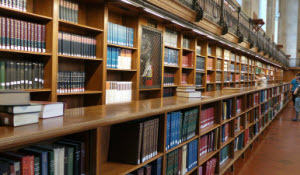 As the cost of higher education continues to rise students, libraries, and universities are looking for ways to save money, yet improve education. Libraries can play a key role in saving students money by improving visibility into content from subscribed databases for digital course materials. 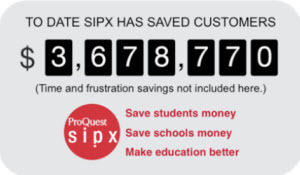 ProQuest SIPX offers three digital course materials solutions that connect instructors and students to materials that are open access or available through library databases, saving money for students. 1. Permanent linking technology is now available for repeating courses in the Learning Management System (LMS) and teaching platform course webpages. 2. Reading links created in SIPX solutions automatically appear on the LMS course webpages. 4. Deeper integration with materials from ProQuest resources. Read more about these new features in the news release. As the cost of higher education continues to rise, students, libraries, and universities are looking for ways to save money, yet improve education. 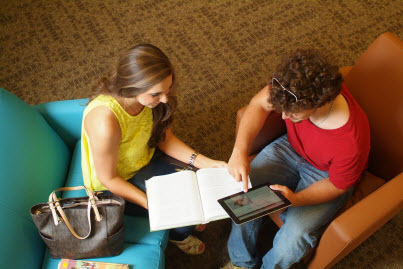 Libraries can play a key role in saving students money by improving visibility into content from subscribed databases for digital course materials. 1. Permanent linking technology is now available for repeating courses in the Learning Management System (LMS) and teaching platform course web pages. 2. Reading links created in SIPX solutions automatically appear on the LMS course web pages.